Locaux30IN30 30IN30 | Danielle Desir | Locaux! Life is as such that when we come in contact with a beautifully humble soul, one takes notice of the feeling you’re left with. The conversation with Danielle Desir is one such conversation. In this episode, we learn how Danielle hopes to inspire you to travel financially savvy. 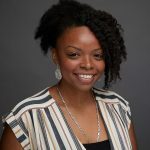 Danielle Desir, is travel finance strategist, podcaster, writer and the founder of ThoughtCard.com. The Thought Card is an award-winning travel finance blog and podcast about affording travel, paying off debt and building wealth. Danielle paid off $63,000 of student loan debt in 4 years, she bought a house at 27 and she has traveled to over 24 countries. She refuses to let her financial responsibilities hold her back from pursuing her dreams and she encourages her readers and listeners to live life on their own terms. Join the Financially Savvy Travelers Facebook community!